Monika Winarnita is currently a Researcher in the Australian Research Council Discovery and Linkage 'New Beats' project about redundant Australian journalists with comparative international studies (Canada, Indonesia, the Netherlands) in the Communications and Media Department. She also teaches 'Critical Issues in Contemporary Asia' in Asian Studies at La Trobe. She has a Ph.D. in Anthropology from the Australian National University (2014) with an external affiliation to La Trobe University. She was a Research Associate at La Trobe in an ARC Discovery Project conducting fieldwork amongst the Muslim Malays of the Cocos Keeling Islands, Australia's Indian Ocean Territory (2014-2016). She is also affiliated with the University of Victoria, BC, Canada recently completing her Postdoctoral Research Fellowship in the project 'Southeast Asian Women, Family and Migration in the Global Era' (2015-2017). Her book 'Dancing the Feminine: Gender and Identity Performances by Indonesian Migrant Women', Sussex Academic Press UK (2015) was awarded 2017 Monograph of Distinction at the University of Victoria BC Canada Annual Author celebration (IdeaFest Refugees and Immigration Theme). It will be published in Indonesian with Yayasan Pustaka Obor - Springer Nature International. Monika's research interests include migration, employment, family, gender, cultural performance, politics of culture, diaspora, digital ethnography, multimedia, media representation, identity and belonging. 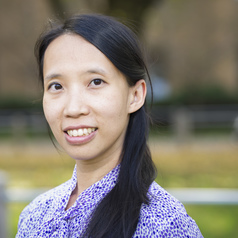 Her previous Research Officer position was at La Trobe University's Centre for Dialogue (2011 to 2013) working on the Australia Indonesia Dialogue and Dialogue Across Diasporic Communities in Victoria project.